How To Build Inner Thigh Muscles? Home / Workout / Legs & Thighs / How To Build Inner Thigh Muscles? The inner thigh muscles anatomy shows that there are 5 different types of muscles in inner thighs area which are called pectineus, gracilis, adductor brevis, adductor longus and adductor magnus and the combination of these five major muscles group is called adductor. The pectineus muscles are flat and found in inner thighs. The second important muscle is gracilis, a thin & flattened muscle which is considered superficial and found on medial compartment of the thigh. The third muscle is adductor brevis which works to move the thigh medially. The adductor longus works to adduct thigh. If compared to the other muscles group, the adductor magnus can be considered larger than the others and it is found in medial side of the thigh. As mentioned above, the inner thigh muscles are actually a group of 5 different types of muscles which work together to help your things function properly. However, these muscles can be damaged especially in sports and muscle building training. Therefore, it is really important to strengthen all of these muscles to avoid injuries. Now the more important thing is to choose the right exercises for this purpose so the chances of injuries can be mitigated as much as possible. When it is about exercises to strengthen inner thigh muscles, Machine adductions are considered the best exercise and almost all the body builders know about this machine which is usually available in gyms. The machine adduction help you calculate how much weight you actually need for this certain body area and this is actually provide a great warm up session for the muscle builders. If the abduction machine is available at the gym, surely you would not like to have one at your home. Therefore, go to gym and sit on the machine in a proper manner to strength muscles of the inner thigh. 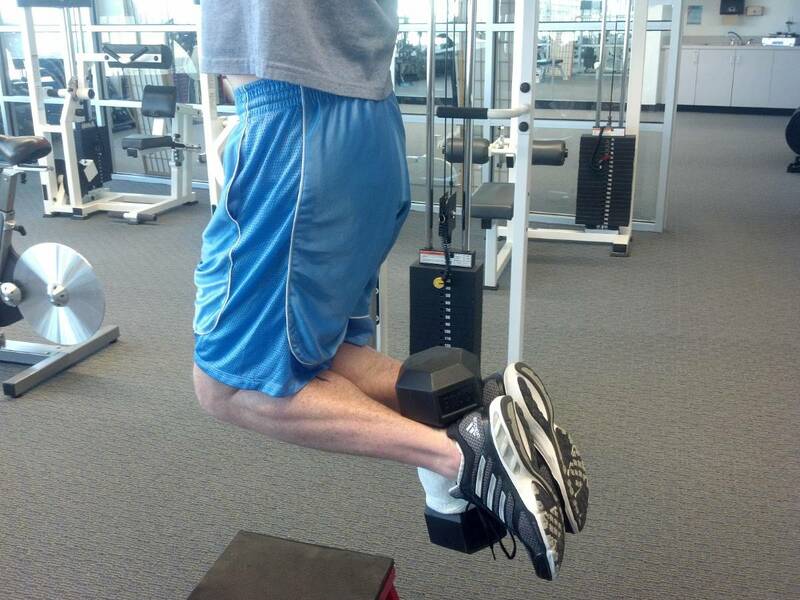 If your machine is for abductions too, you can set the leg pads wide to put them in opposite direction of inner calves. Second step you have got to do is to hold the handles and maintain the stability of your position. Now it is time to squeeze both right and left thighs to bring them closer but be careful while doing this. Leave it in a slow motion to let it back to its initial position. Here what is more important is to remember that this particular exercise session is actually a warm-up round so you don’t need to use too much of weight. Use lighter weight instead heavier for strengthening inner thigh muscles. You can use various ways for stretching inner thigh muscles and two of them are mentioned here so you can follow them. This technique is quite helpful to stretch inner thigh muscles, lower back muscles and hips. However, if you feel discomfort in your back muscles, be very careful while doing butterfly stretch. Thought, this stretching technique is quite good, may create problem with your knees in rare cases not performed carefully. To perform a butterfly stretch, you need to sit with straight legs on the flat surface. Put your hands on both of your knees and try to touch the soles of both of your feet to stick together and make space between both of your knees as much as you can do without hurting your muscles. Now push up your abdominal area and bend forward. While performing this technique, you will feel stretching in muscles inner thigh, lower back and hips muscles. The stand and squat exercise for inner thigh muscles requires a perfect balance and stability of your body. Stand on your feet and keep your head and shoulders straight in direction of your nose. Stay in this position and bend down your hips to bring to the level of your knees. Just imagine you are going to sit on a chair. When you reach to the seat of chair in your imagine, this is the place where you actually need perfect balance of your body. You cannot continue with this for more than 10 seconds but maintain your balance until you come back to standing position. To tone inner thigh muscles without machines, V- stretch is considered a very good exercise. You need to lie down on the surface of the floor, now pull your knees up slowly and hold them and widen the legs. This might make you feel stretch in your leg muscles but don’t worry, just keep doing this until you reach to balanced limit. Another toning inner thigh exercises for men and women is foot sweep which is a good exercise for toning inner thigh muscles without having gym machines as this is a replacement of exercise machines. You need to stand on your feet, keep your body straight. You can also take support of a wall or something likewise. Now pull up your right foot and move slowly. Now your right foot should cross over to the left foot. This exercise is amazingly simply but provides very good results. To become a real muscle builder, you must have strong legs and thighs muscles and these are some of the great exercises for strengthening, stretching and toning the inner muscles of your thighs.